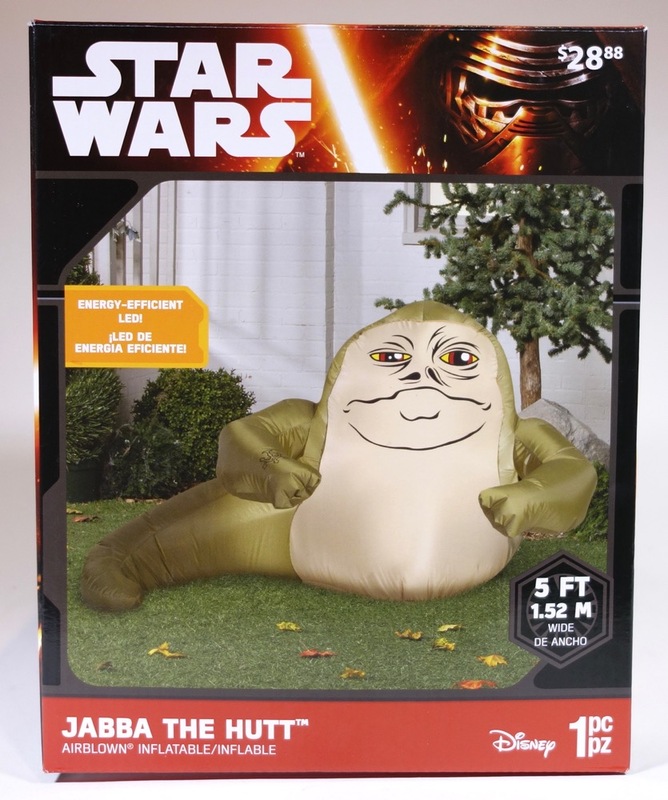 When I first saw this on Walmart.com, I thought they were selling a much cheaper version of the Canadian-exclusive inflatable figure that I posted about last year — just with the jack o’lantern removed. But on closer inspection it became obvious that this was also a significantly smaller item. 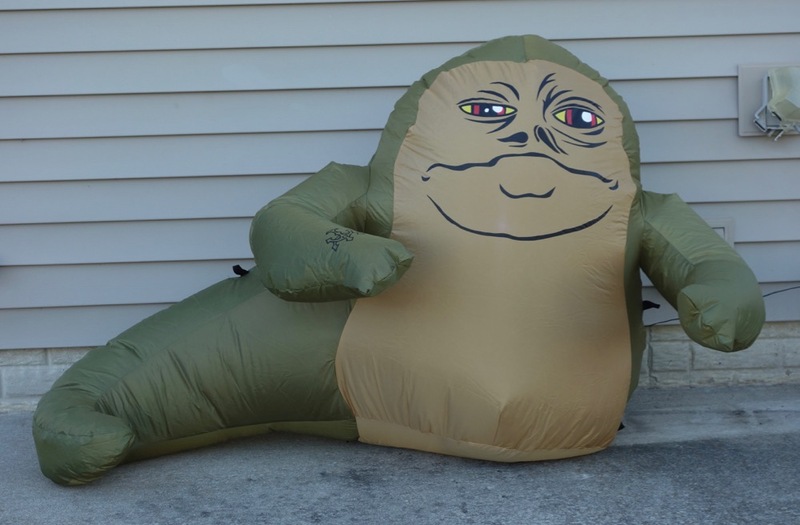 Aside from the lack of the pumpkin, it is essentially identical to the Canadian version, but only about 3 feet tall instead of 5ish feet. Here it is next to the Canadian version and the Morbid Enterprises version. 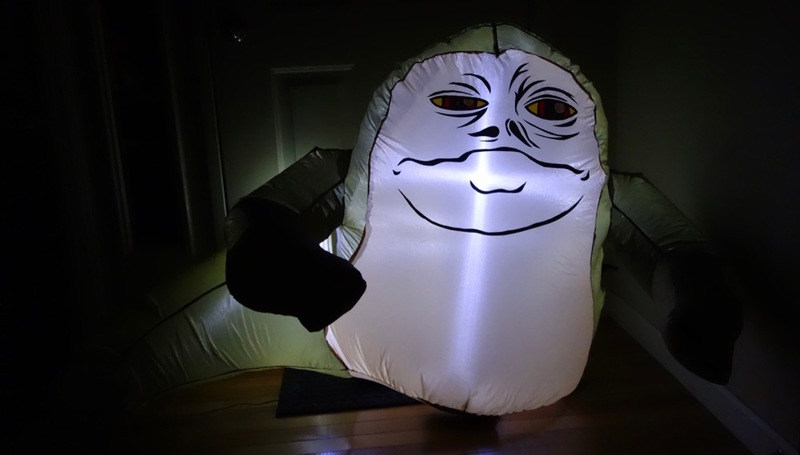 It’s definitely not as impressive in terms of size, and it’s true that having a life size Jabba was one of the draws of the larger figures. Still, it’s pretty nice and definitely more manageable in terms of both size and price — it’s only $28.88. It also seems to light up more brightly than the other versions (maybe because of its smaller size), which is nice at night. It’s available on Walmart.com right now. Here’s a video review I made with a bit more detail. 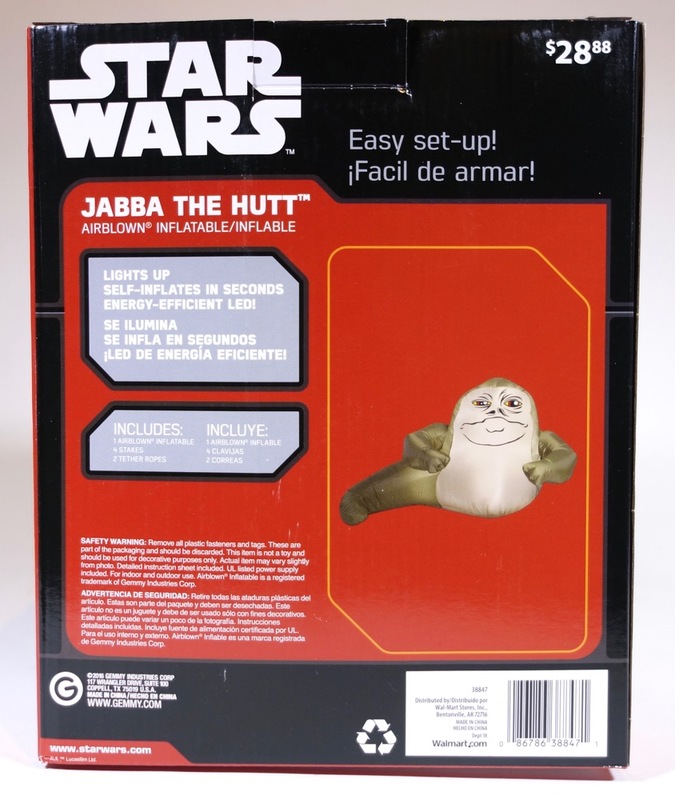 ← Mighty Jabba’s Collection Turns 7!